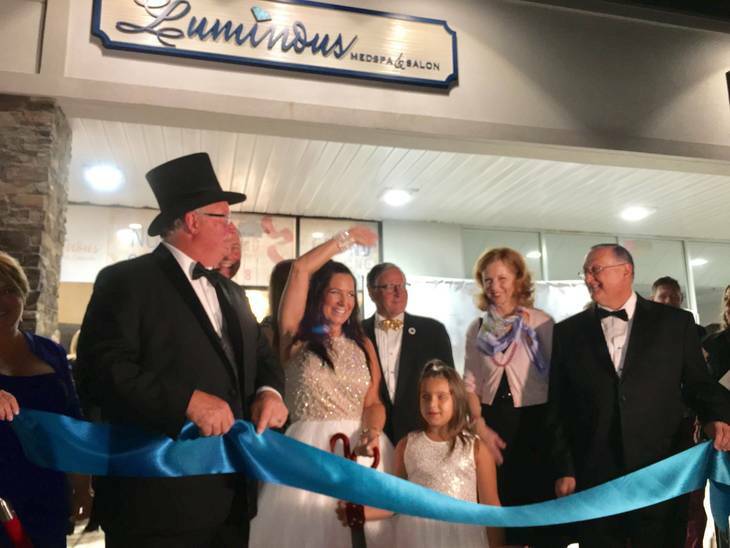 Bring the family to Luminous Salon and Spa Saturday, September 15th for a fun “Find Your Gem” event. 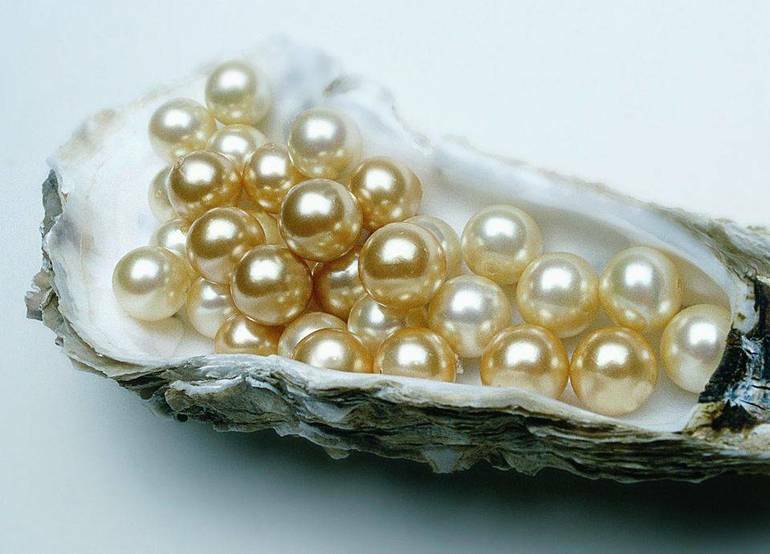 Children can pick a gem they can keep from our tank and spin our prize wheel to win fun prizes. Reservations are suggested but not required. Bring your friends. For more information or to reserve your spot, please call Luminous at (908)464-8208. We are so excited to announce that we are expanding!!! About Face at Luminous Medical will be located at 1351 Springfield Ave. New Providence!! We will be performing all of the latest technology and more advanced treatments like Coolsculpting, Ultherapy, Fraxel, Injectables, Sculptra, IV Vitamin Therapy, Vampire Facials, PRP For hair Loss, P-Shots, GAINSWave, Derma planing, Allumera, Light Therapy, Microneedling, Chemical Peels, HCG, Microblading, Nutrition, Medical Massages and more to come!! We are so so happy and want to thank all of you for the support in making this dream come true! I want to personally thank my incredible staff for doing such an unbelievable job and making everyone look and feel their absolute best! Now on to the next amazing journey!!! 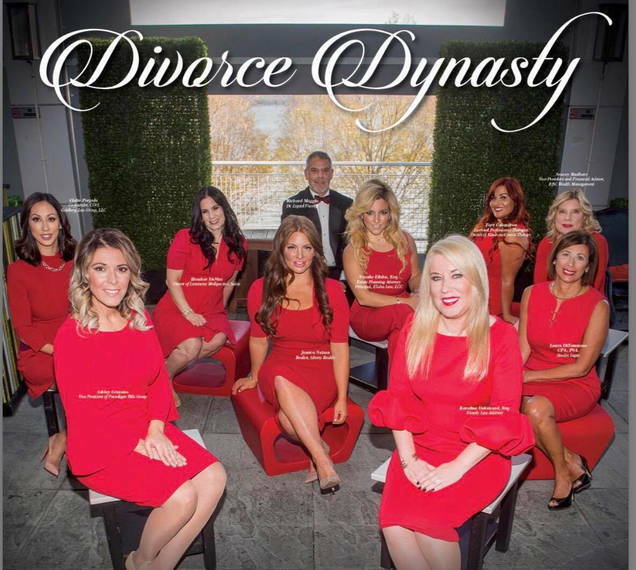 We are so incredibly honored that Heather Hoffman & Dr Maggio are now a part of the most powerful team of Professionals called Divorce Dynasty!!! This is an exclusive platform made up of the most prominent people in their industry. We have Lawyers, Drs, Brokers, Real Estate Agents, Therapists, Life Coaches, Beauty Experts and many more all here to help you get through the toughest times of your life!! With our team you will never be alone or have to make important decisions by yourself...we are here to help!! Please contact us on how to become a member or if interested in becoming part of the Divorce Dynasty Team please message us for an application!! Don’t go through it alone...contact us!! So so proud!!! Watch us on NJ News 12!!! We want to thank everyone for all their love and support! !Congratulations Brittany & Darlene for making ✨💎LUMINOUS💎✨ sparkle & shine!!! We did it!! We did it!! Luminous was just recognized in one of the biggest Professional Salon Magazines in our industry!! @salontodayofficial thank you for picking our salon to Spotlight!!! This is such a huge honor and we are super excited!! We also want to thank @saloninteriorsinc and @swatigdesigns for doing an incredible job on the design and making me the happiest girl alive right now!! ✨💎LUMINIOUS💎✨ has hit its all time high...and it’s just the beginning!! So proud!! Another Huge Magazine - Skin Inc. - has recognized Luminous MedSpa & Salon as the go to place for all your Beauty & Wellness needs!! They also mention our grand opening which they call a “Hollywood inspired red carpet event” - Whoohoo! 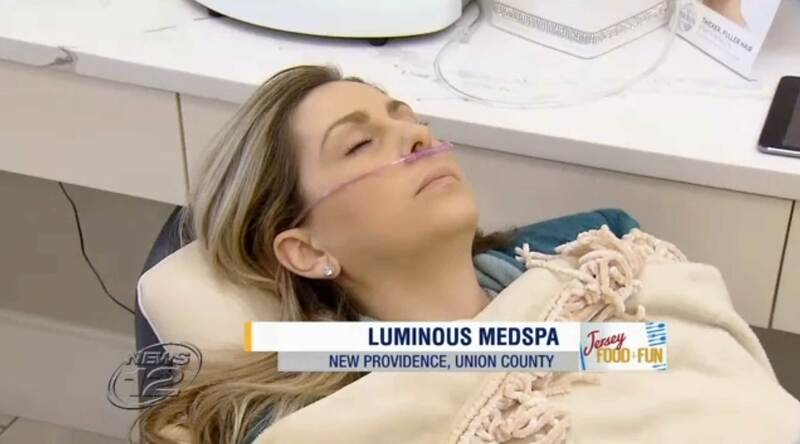 Luminous MedSpa and Salon in New Providence was recently featured in a "Food and Fun" segment on News 12. The "Food and Fun" segment highlights places around the state that have something unique to offer, said Marisa Brahney, News 12 reporter. 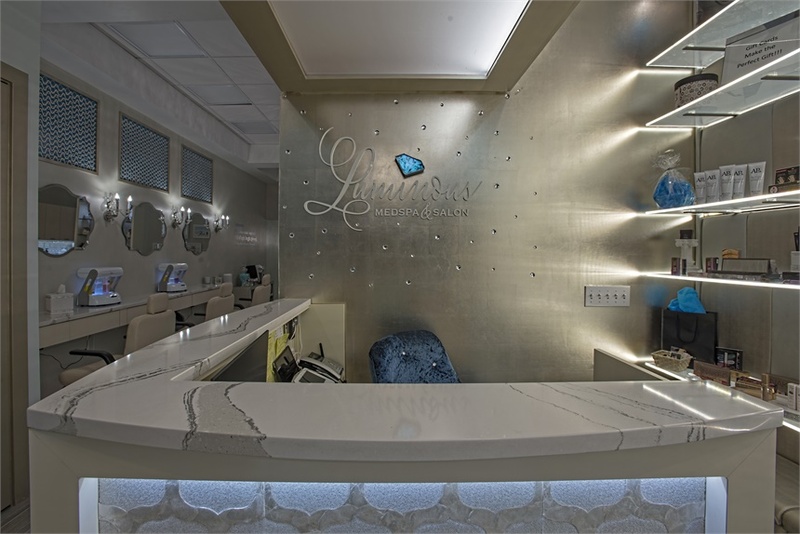 She came in for a "slice of luxe" that everyday moms enjoy when they visit Luminous. Yay! We are in the news again!! 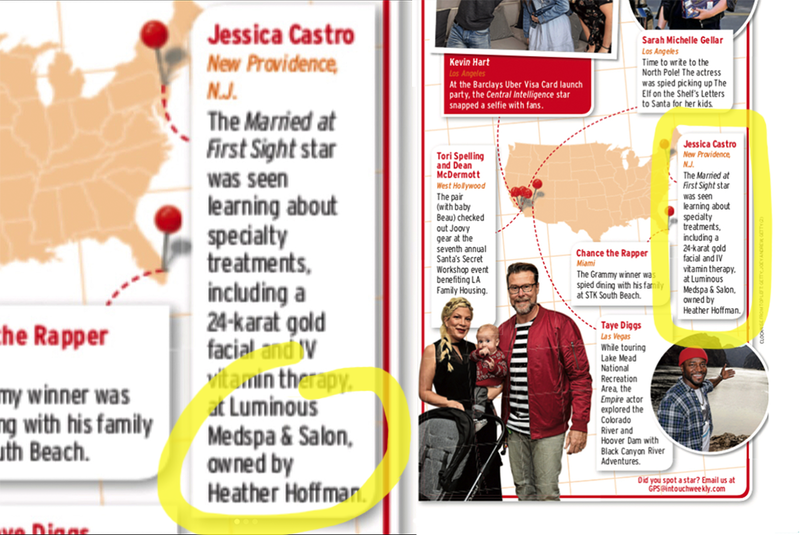 Luminous 💎MedSpa is recognized once again for being the CoolSculpting Leaders in NJ in NJ Monthly Magazine!! What an honor it is to see your name in NJ's Weekly Guide to style!! 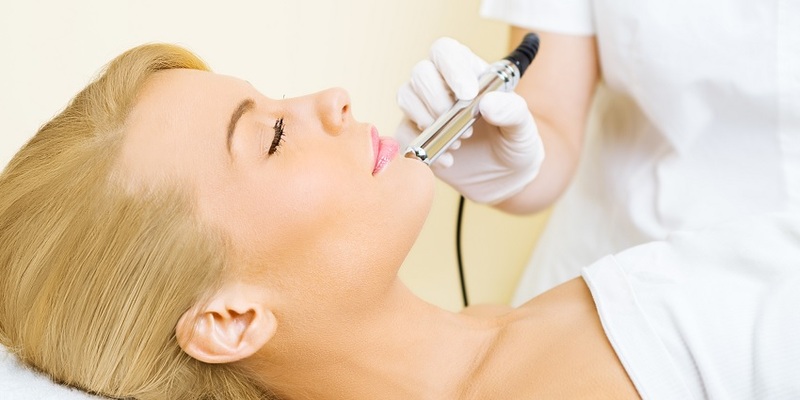 When deciding to get this treatment done you should only go to the best....and let us sculpt your body to perfection! !